Your car keys are essential to your daily life. They are the one thing that can ensure you get where you need to go. Without them, the car is just a very big object that could take you somewhere, but can’t. Even though your car’s keys are essential, it is likely that you have misplaced them from time to time, or even lost them. This is but one of the many reasons you might require the services of a locksmith for cars. Locksmith Pro offers emergency locksmith services relating specifically to vehicles. Whether it is a car lockout due to lost or broken keys, or something more, our professional car locksmith has you covered. Our locksmith for cars can help you with any of these issues. However, before we look at the many ways we can provide 24-hour car locksmith services in our service area, let’s take a few moments to consider how you might avoid the need for them. Yes, that seems odd, but at Locksmith Pro, our goal is to become your “go to” provider for any sort of locksmith services. We hope to have long-term, working relationships with all customers. However, we don’t want you to repeatedly spend a lot of money on emergency locksmith calls if we can help you cut some of the risks. So, let's first consider a few proactive steps to take with your car keys, and determine how you can avoid a few of the more common car lockout issues. If we have had more than one emergency locksmith call from a client, and it is because they locked key in the car, we will often suggest they put something eye catching on their keychain. In addition to something boldly colored or eye catching on the keys, we also suggest you institute a mental checklist for exiting the car. A simple "mantra" like "phone, keys, bag/wallet" said aloud can actually train you to follow an infallible routine that prevents the most common car lockouts. While you may have avoided locking the keys inside of the car, and simply misplaced or lost them, you can still be proactive. We recommend that you always have a key holder on call if you are prone to losing keys or locking them in the car. This is someone you can phone and who is often nearby and who can have a spare. If that is not viable, there are strong, magnetic key boxes to hide on the car. We can cut you spare keys or make extra keys for your vehicle, and you can hide them using a durable key hide. Of course, being proactive also means having a reliable locksmith for cars in mind. If you are locked out in the middle of the night or in bad conditions, you don't have time to do any due diligence. Less reputable providers count on that and create tempting ads that appear in online searches. Instead of risking the unknown, we recommend you keep our emergency locksmith number in your speed dial. This way, there is not searching for a reputable service at the last minute. And what if it is a broken key or other issue? The team at Locksmith Pro will be able to provide you with comprehensive services thanks to our 24-hour car locksmith option. The information we just provided was meant to help you overcome the issue and even avoid it. However, we know that accidents happen and it might not always be possible to be prepared for a car key issue. Whether you try to force down a window, pry open a door or even squeeze through smaller windows and spaces (think drop down areas between the cab and trunk or tiny windows at the back of a pickup), these approaches often end up causing damage and even injury. If you damage the vehicle or yourself, your insurance may not cover it, either. While it may be a priority that you get back on the road, calling two or three locksmith services and just hoping one shows up right away is a bad idea. It is unfair to the locksmiths, plus many will retain your phone number and may pursue some sort of charge or fee for the unnecessary service call out. We can tell you that many people try to trick a car lock into opening by using any number of methods. Most of the time they damage the lock, and this means they have even greater out of pocket costs. We can arrive quickly and get you into the vehicle in a short time. Limit the expense to a service call and workable solution. Now that you know what not to do, let's learn how the whole process works. When you need an emergency locksmith or car locksmith, it is usual that you need them ASAP. This is why a 24-hour car locksmith is the ideal solution, but don’t overlook the simple fact that they have the different tools needed to get into the car and to get it started. If you have a car with a traditional, metal key, there is often no problem helping you get back on the road right away, and if you have a lost fob or some problem with it, it is also an issue that can be addressed. Whether it is a car lockout, broken key or other issue relating to your car keys, our car locksmith services can help. Replacement keys are handled in a variety of ways, depending upon the year, make and model of a car. Though your manufacturer might tell you to visit a dealership, which can be a costly and unnecessarily formal way to deal with your car key issue. After all, our skilled car locksmith team will usually have the tools and skills needed to do the same job at a fair price. Additionally, a 24-hour car locksmith is just that – round the clock. It is unlikely that your dealership or local garage is going to be able to come to you and help you out when you call. This can make it impossible to get the vehicle home and can really add up the expenses. Many of our customers are often confused about our ability to offer support even if they do not have the original key on hand. Though having it is very helpful, our car locksmith is going to be able to help you. To understand how car key replacement works, it helps to know a bit about car keys in general. While it is entirely possible to rekey locks during a 24-hour car locksmith service, you may want to know more about your particular “set up” long before any issues occur. So, let’s take a look at the most common car key designs and styles. This is the classic type of key and it allows the key to be inserted two ways. The key has to be fully inserted and manually turned to disengage the locks. This is also the type of key that is associated with the smart key systems or fobs. They are often concealed in the fob and pop open when you hit a button. 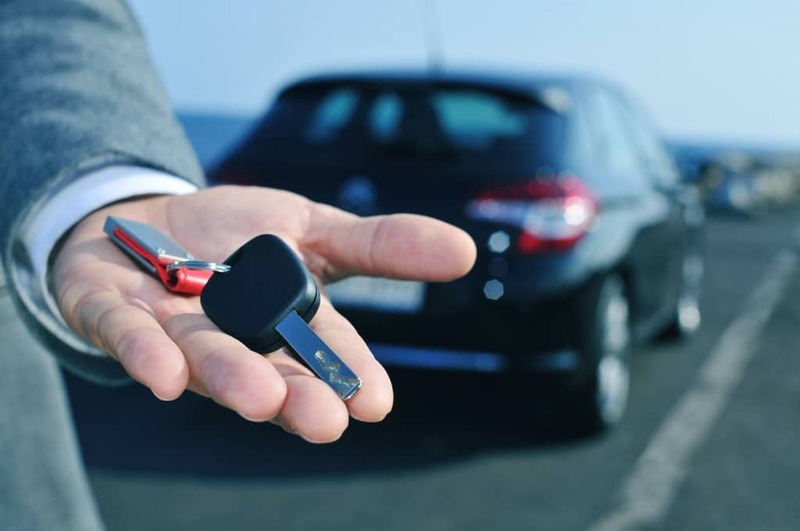 Usually, the car won't start without the fob if the vehicle uses a smart key design. Another very common key design, they have identical cuttings on both sides and they open the car's locks like a standard pin tumbler design. Old cars will feature this sort of key, and many newer models use them, but also have a transponder chip in the top of the key. This prevents the car from being started if someone attempts it without the transponder portion present. The key fob is just an electronic portion of a car key. It can work like a remote control, opening the trunk and unlocking or locking doors, but it can do more. In many modern, push button ignitions, the fob has to be in the vehicle or the push button does not work (it is a form of security). Fobs are not universal in design. They can be on the key or as a standalone device. Our emergency locksmith will have to determine how to resolve a car key issue if a fob is involved, and can often provide new gear and even reprogramming. This is a hybrid design and it uses a traditional metal key along with the transponder chip. This sits on the part of the key known as the "bow" or top of the key. It is an amazing bit of technology because it actually talks to the receiving unit inside of the car. When the transponder sends the right signal to the receiver, it allows the car to operate. If no signal is sent, even if a key is inserted, the car will not work. To replace a transponder key you require one that is unprogrammed, uncut and able to be programmed correctly. So, you now understand the type of key you have, and you have a few tips for avoiding the need to even get in touch for emergency locksmith services. Yet, we understand that there can be many reasons you need car locksmith services. Maybe you bought a used car in a private sale? Perhaps you had too many car keys in too many hands and you want to retake control? No matter why you face a car key dilemma, Locksmith Pro is a reliable and experienced service to call.